I will tell you right here. I would have never picked up KLENSPOP Pinky Grey for myself. They are bigger (although not huge) in diameter than the ones I usually reach for, and the designs are on the artificial and more dramatic side. Apparently the blogging gods wanted me to try them anyway because I was sent these by KLENSPOP recently. Then I fell in love with them. Totally unintended. This time the shipping was even faster taking only 7 days to arrive. Again, everything was packaged impeccably. The outer rims are more of a dark purple, and the inner patterns are very delicate and complex to say the least. I am not into "noticeable" designs like these any more, but I find the gold/khaki flecks and strokes are so gorgeous nonetheless. Turns out I don't really need to amp up my eye makeup with Pinky Grey. Here I just put on grey kajal on my lid space and blended it out with some shimmery pale gold pigment followed by mascara. Easy peasy. I didn't know what to expect but they just feel like soft contacts to me, but the comfort level is simply... OUT OF THIS WORLD. Really, it isn't like anything I've experienced. I also ordered some daily contacts from KLESNPOP this time, and to my surprise, Pinky Grey feels even more comfortable than my dailies. Can you imagine? The price (about twice of regular soft circle/color lenses') is well worth it if you ask me. I am so impressed with the comfort level (to the point where I forget I'm wearing them) that I plan to upgrade all my lenses to silicone hydrogel in the near future. I think circle lenses are so neat looking! I'd love to try some out one day. These are really pretty! You should! They enable you to try a lot more different looks. I'm sure you'd be interested since you're a makeup artist. SO pretty! And more comfy than your dailies! 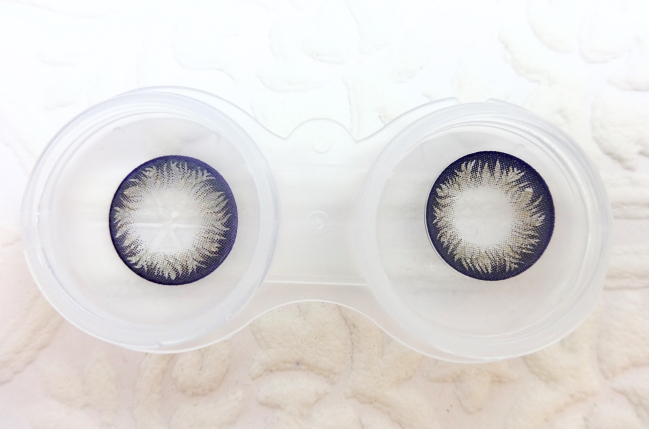 Marky want to try circle lenses so I'm going to get her to read this post for sure. I always wanted to try coloured contacts but kind of scared! The lenses are really pretty looking and astro- looking! 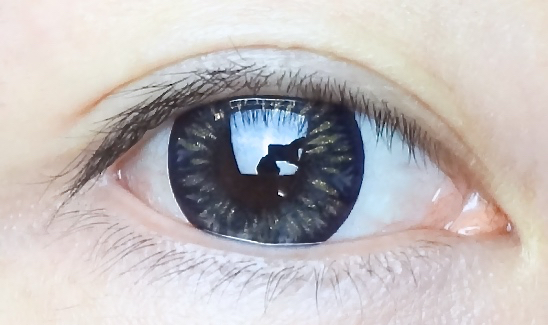 There are many different subtle designs in brown/dark brown/black colors, but if you want realistic looking ones that transforms the iris color, maybe you'd want to try something like Freshlook one day. They are very thin and comfortable. These look beautiful, they have an interesting cartoon/ fantasy flair. Oh wow! I wouldn't have even noticed the difference! I actually started scrolling down and expecting to comment on a new lipstick colour (The pink threw me off!) only to go back up and realized that it was about the contact lens ;-) The colour suits you very well and looks very natural on you! I love that gold sparkles, too. These are gorgeous! Even though they are large, they somehow work, I think! 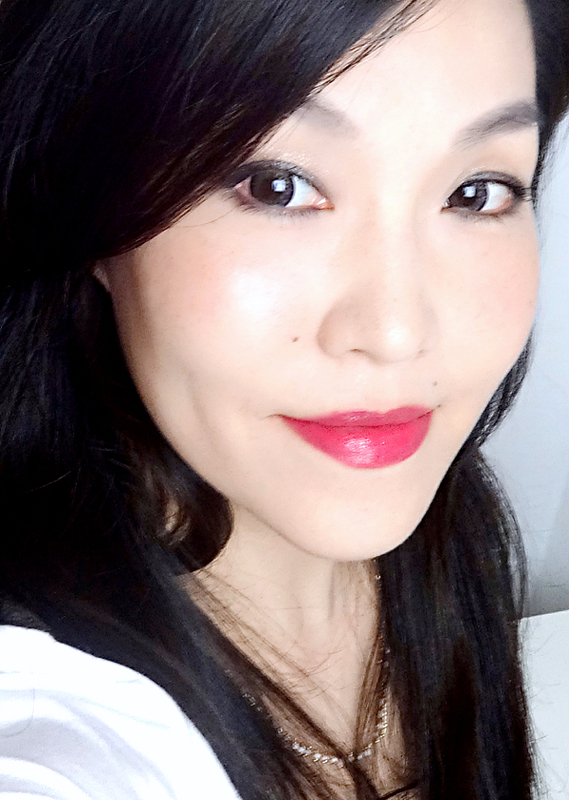 I've never tried colored lenses or circle lenses. Someday I want to try a pair of purple ones, just for kicks. Exactly my sentiment. I didn't really expect to like them this much. Sometimes I just wear them without putting on any makeup just because they are so comfortable. LOL. These look good but can we talk about the new Star Wars teaser instead? I'm a SW nerd and I think JJ Abrams is going to make me cry in the theatre. Absolutely! I was dragged by a dear friend to a theater when Star Wars were repromoted back then in Korea. He (who now works for NASA) even said he would revoke our friendship if I didn't go! LOL. But one of the best things that ever happened to me. I, too, have great expectations for the new one!! Oh that looks pretty (and so does the lipstick). Can you beleive that I wear glasses when I remember (I'm short sighted) yet I've never ever worn contacts in my life. My eyes get dry and irritated really easily so I'm scared that contacts will just make them worse... But with all this new technology now, maybe one day I should try to be brave enough to give it a try! Softer than daily contacts?! Wow, that's high praise! I wonder if they makes these for asigmatism! I'm saving up for a LASIK because I am so tired of wearing contacts/glasses. Pinky Grey looks really neat and fun! You are the queen of circle lens. :D You should do a comparison post! Lenallure utilizes affiliate links which may generate a small commission from direct traffic from the blog. Press samples are occasionally sent for review consideration. Sponsored posts and reviews that feature press samples are disclosed. © Lenallure. Design by FCD.